To effectively monitor, control, and manage the virtual machines making up your Pivotal Application Service (PAS) deployment, you may need to identify which VM corresponds to a particular job in PAS. You can find the CID of a particular VM from Pivotal Cloud Foundry (PCF) Operations Manager by navigating to PAS Status. If you have deployed PAS to VMware vSphere, you can also identify which PAS job corresponds to which VM using the vCenter vSphere client. Note: The CID shown in Ops Manager is the name of the machine in vCenter. 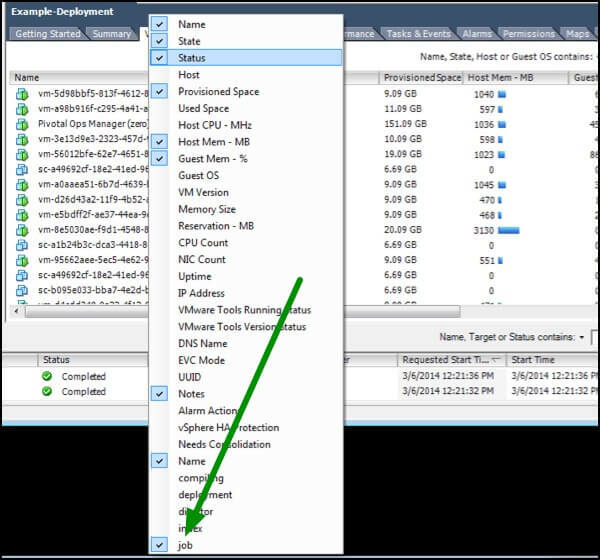 Launch the vSphere client and log in to the vCenter Server system. Select the Inventory > Hosts and Clusters view. Select the Resource Pool containing your PAS deployment. Select the Virtual Machines tab. Right-click the column label heading and check job. 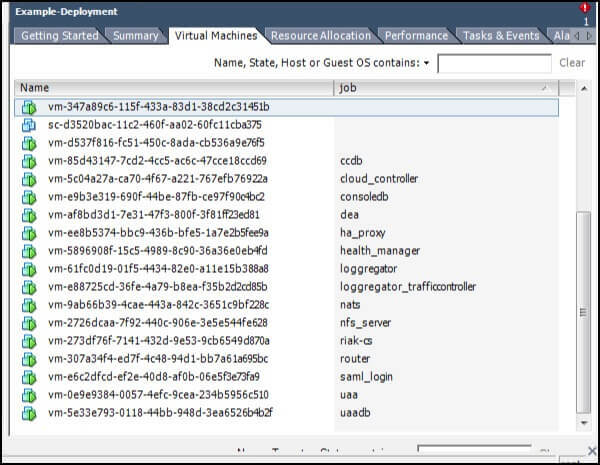 The job column displays the PAS job associated with each virtual machine.